Motorradunfall: 3 Wochen den Lappen und die Snake geküsst. 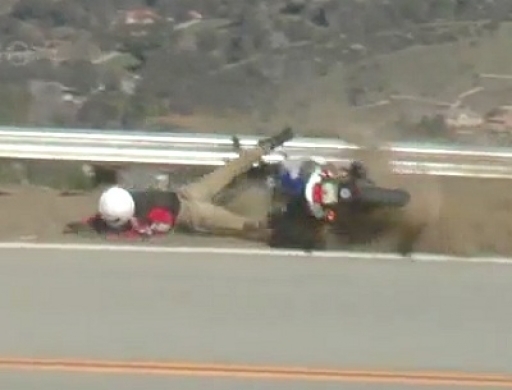 Rider with three weeks experience goes wide into the guardrail on his first visit and first run up Mulholland. The guy had minor injuries but his newly purchased Suzuki gs500 was pretty badly damaged. Crazy windy day, barely could hold the camera still.